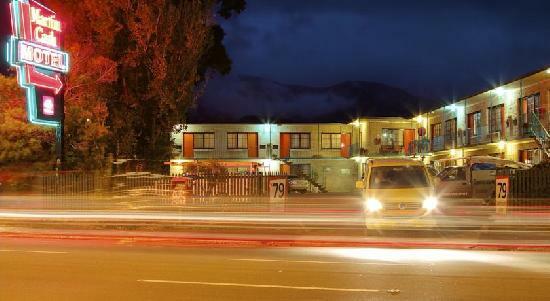 The accommodation at the Martin Cash Motel is conveniently located only 10 minutes North of the Hobart CBD in Glenorchy. This affordable Hobart motel is close to the Cadbury Chocolate Factory, Moorilla Estate Winery & Museum, various shopping districts and provides an excellent base from which to explore everything that Hobart & Southern Tasmania has to offer including the Salamanca Market, Hobart Docks, Port Arthur Historic Site, Richmond, Huon Valley & Mount Wellington. Nearby Attractions : Martin Cash Motel Hobart is located in Glenorchy; 8 km (10 minutes drive) North of Hobart CBD and 2 minutes drive from the major shopping centre at Glenorchy. Martin Cash is a terrific location for a holiday in Southern Tasmania, being close to the Northern Suburbs, Moorilla Estate Winery and Museum, and various shopping districts. Martin Cash is a great base, being in a central location to tour Hobart and Southern Tasmania including the famous Salamanca Markets, Hobart Docks, Port Arthur, Richmond, Huon Valley and Mt Wellington. Cadbury Chocolate Factory is only 5 minutes drive away. Martin Cash Motel is located close to the business districts of Glenorchy and Moonah, in addition to Hobart CBD, offering a comfortable home away from home for corporates. Compact Family Room : Sleeps up to 4 guests on 1 Queen Bed & 2 Single Beds. Executive Queen Motel Room : Sleeps up to 2 guests on 1 Queen Bed. Standard Queen Motel Room : Sleeps up to 2 guests on 1 Queen Bed. Standard Twin Motel Room : Sleeps up to 3 guests on 1 Double Bed & 1 Single Bed.